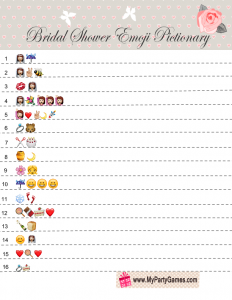 Today I have made this Free Printable Bridal Shower Emoji Pictionary Game with answer key. This is a modern and popular game these days and it is also fun to play. 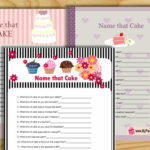 I have made this gave in 4 different designs and I am also providing a free printable answer key with this game. 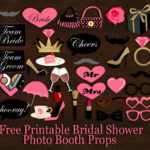 You can pick and print the design that you like the most or the design that goes with your bridal shower party’s theme. 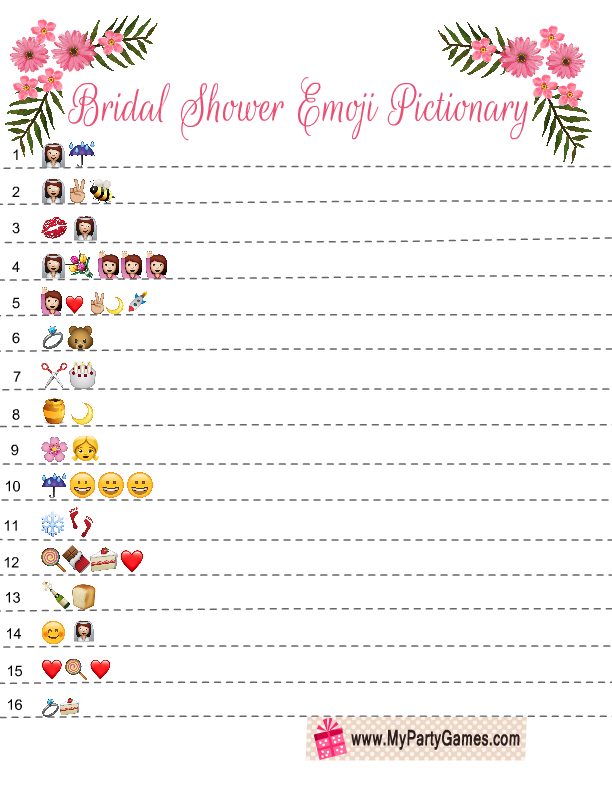 Print the bridal shower emoji pictionary game cards and distribute these among your bridal shower party guests along with a pen or pencil. 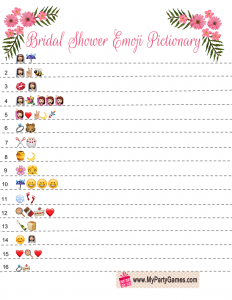 Ask them to write down the bridal shower and wedding related phrases and words which are indicated by the emoji pictures. 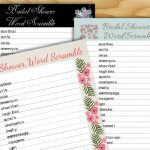 The person who writes down all the bridal shower phrases right first will be the winner. 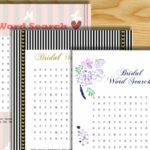 You can check their answers by looking at the answer key that I am sharing at the end of this page. 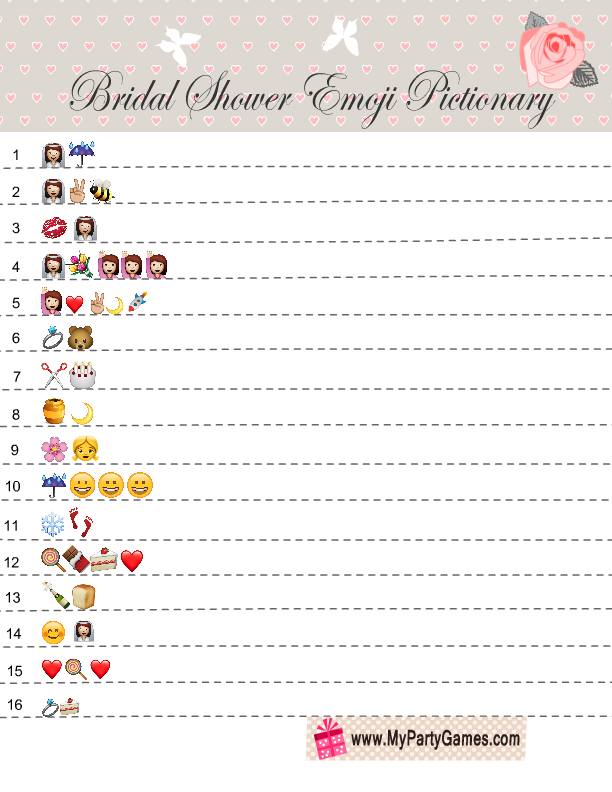 This is the first printable of this bridal shower emoji pictionary game. 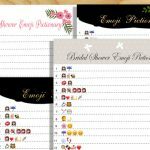 I have made these games in PNG format and these can be easily printed using a home printer, without losing the quality. Just click on the thumbnail image of this game and a bigger image will open up, right click and save that image. 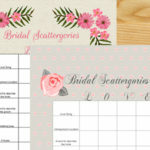 This is another free printable beautiful design for this game. It has a white background so it is printer friendly. Just click on the thumbnail image and a bigger image will open up, right click and save or print that image. 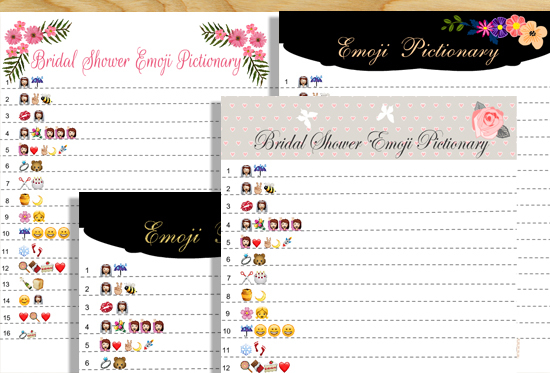 This is another design for this fun and modern bridal shower game. 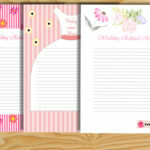 It has a taupe header and it is decorated with hearts and rose. 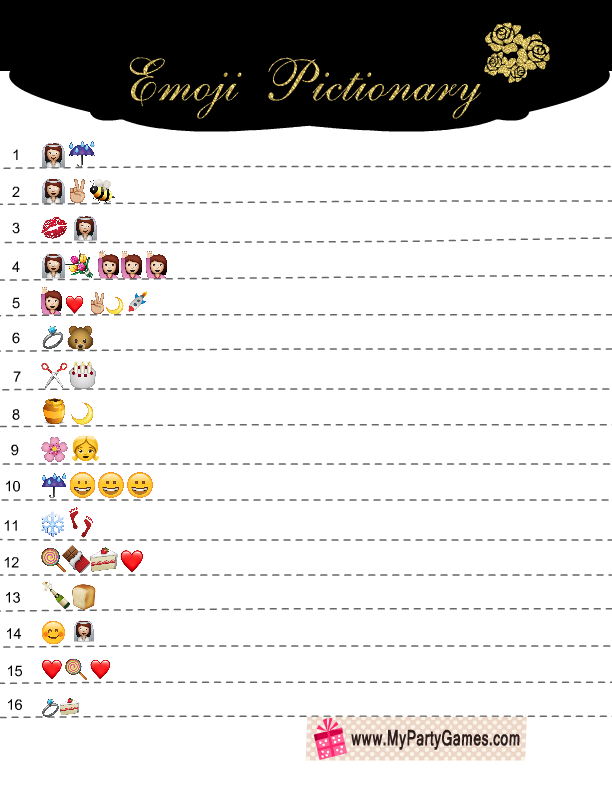 Just click on the thumbnail image and then the bigger printable image will open up. 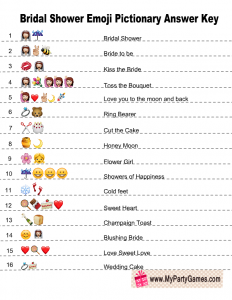 This is another printable design for this bridal shower game. Thank you so much for doing the leg work! How do you print these FREE games. It just keep s sending me in circles. Just click on the thumbnail image of any of these games. 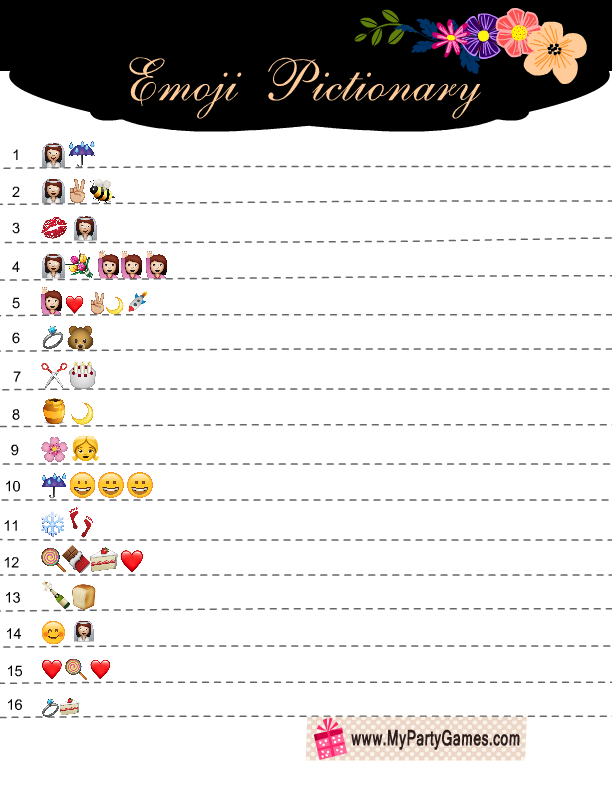 A bigger PNG image will open up, you can right click and save that or print that right away. 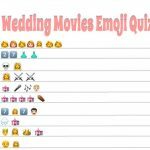 Thanks for the printable pictionary game, but I don’t see the answer key. Do you mind posting it? 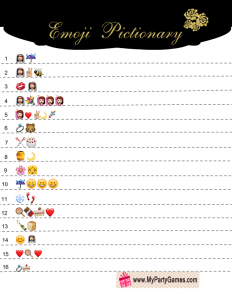 Sorry, I forgot to post it, however, I have added it now and updated the post. 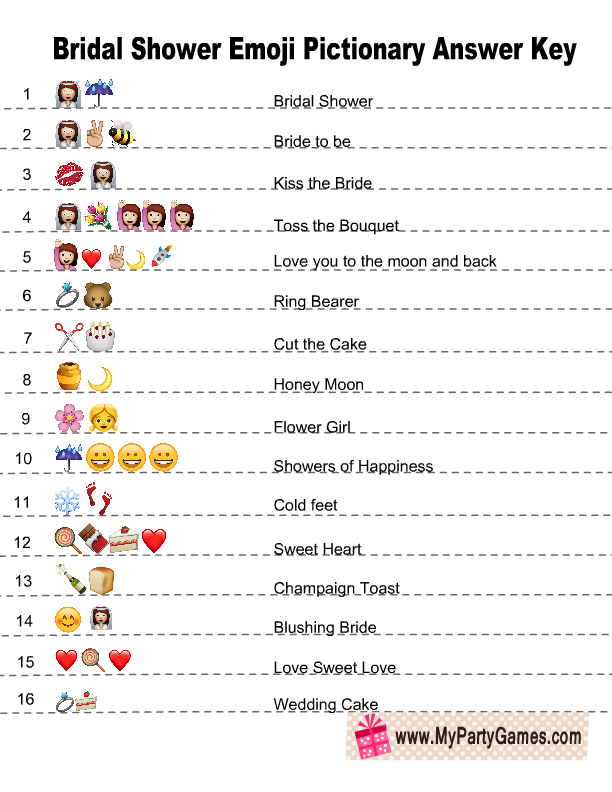 You can download it now.